Land Rover is legendary for empowering drivers to achieve more with a higher level of both performance and technology. 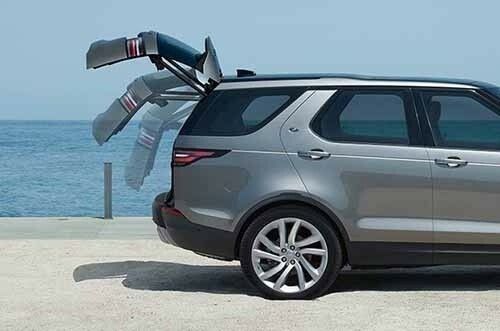 That commitment is on full display when you look at the 2017 Land Rover Discovery technology. Every mile you drive in Bridgewater is made better by the advanced tech features in this luxury SUV. If you need a vehicle that is serious about being all-purpose, this model will not let you down. Learn more about everything it’s capable of at Land Rover Princeton. The infotainment system operates a lot like a tablet computer. You have expansive options for updated information, streaming entertainment, seamless communication, and driver assistance all at your fingertips. Reaching any destination in Flemington is easy when this system tells you every turn to take. It's also faster because your navigation instructions are enhanced with real-time traffic, construction, weather, and accident information. You have your choice of three different audio systems ranging from 10 speakers to 16 speakers. Two of the systems are produced by Meridian, one of the leaders in the newest generation of digital audio technologies. If you run into trouble on the road, this smartphone app makes getting help easy. You can instantly connect with emergency responders or roadside assistance providers, and also access information to quickly determine what is wrong with your vehicle. It’s easy to drive this larger-sized SUV thanks to available features like a surround view camera. You get a 360-degree view of the exterior to eliminate all the guess work getting in and out of parking spaces. A head-up display is also available to help you keep your eyes on the road. Last but certainly not least, the new Discovery makes use of a number of sophisticated technologies to help this SUV achieve amazing feats of performance on and off road. The reviews and updates of this SUV have continually noted how powerful and intuitive its technologies are. We invite you to visit our dealership in Princeton to try them out and explore the rest of the vehicle. If you want to drive home in the Discovery, we make financing hassle-free. Tour the Discovery inventory and trim lineup at Land Rover Princeton, and contact us if you have any questions.